As a Hunter Douglas Showcase Centurion, McNeill Palm offers custom window treatments, with performance fabrics, advanced innovations and quality workmanship. Our products are engineered to beautifully transform the light at the window and create surprising new possibilities of comfort and convenience in your home. Harsh light at the window? Our products feature innovative fabric designs that transform sunlight into a wonderful soft glow and help protect your furnishings from damaging UV rays. Our products can help channel light deeper into your room, filling dark corners and reducing your need for electrical lighting. Want daytime or nighttime privacy? Our products and operating systems provide clever ways for giving you the privacy you want while maintaining your view-through to the outside. Keep your rooms warmer in the winter and cooler in the summer thanks to our energy-efficient products—specially engineered with cellular air pockets that can block up to 50% of the heat transfer at the window. Imagine your shades moving automatically to the exact position you prefer—to achieve the specific lighting effect you love or adjusting themselves for the optimal energy efficiency throughout the day. Our revolutionary PowerView® Motorization system automatically moves your shades according to schedules you set. Your shades will always be in their perfect positions 24/7—no hands required! 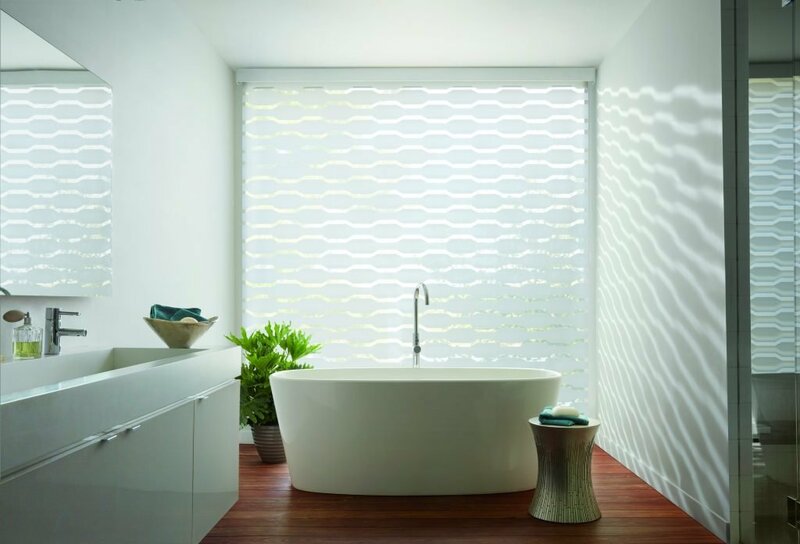 Whatever your aesthetic style or home lighting needs, Hunter Douglas has a visually stunning and functionally superior window treatment solution designed to wow you. We offer the broadest selection of innovative product types, elegant performance fabrics and intelligent shade operating systems.